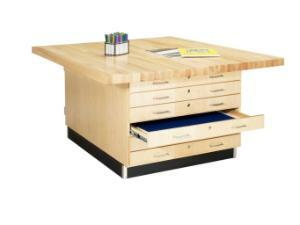 This workbench is perfect for storing different types of items. The art bench is designed to be used by four people and has a 64"W x 54"D x 21/4" thick maple top. One side of the workbench has storage for flat items, like paper or metal sheets. 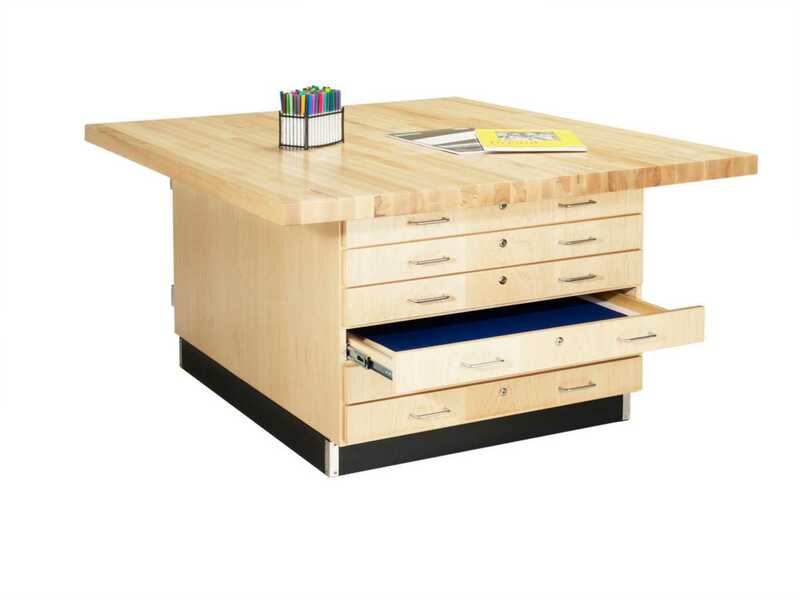 The six locking drawers are dovetailed and have full extension glides. 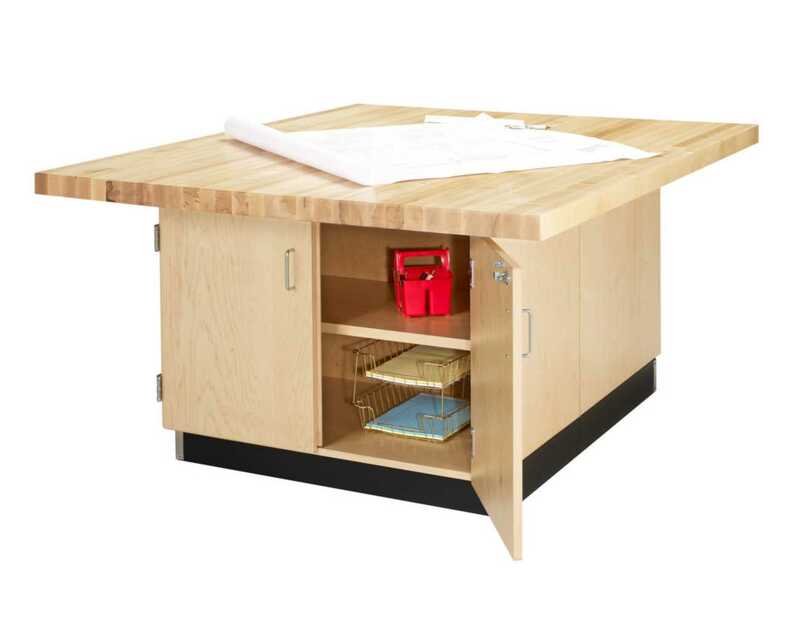 The inside drawer dimensions are: 32"W x 22"D x 13/8"H. The opposite side of the workbench has two locking doors with an adjustable shelf inside the storage cabinet. Can be ordered with or without vises.